Whilst living in a town like Croydon offers a wealth of opportunities and entertainment, there will be occasions when you want to take sanctuary in your home and make the most of the peace and comfort that it has to offer. Sadly, many urban homes can be cramped and offer little opportunity to increase the space available to you. 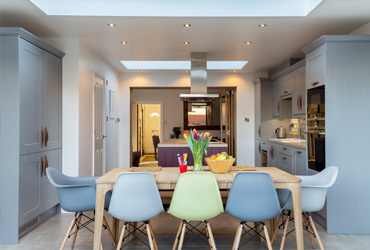 Happily help is on hand from the Attic Conversion Croydon specialists, Berry Construction. Many properties have large unused attic spaces that are overlooked by homeowners when considering extension possibilities for their property. Berry Construction provides the most superior attic conversion Croydon has available and can transform your dusty old attic space into an attractive, fully functional living area that you will be proud of. 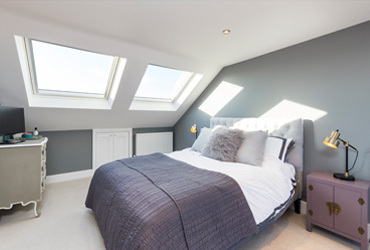 As families grow, larger living spaces become an absolute must and an attic conversion can provide a very real alternative to having to consider moving your family into a larger property. Extra bedrooms will often be the primary requirement for an attic conversion, although the list of opportunities is endless. For other families, they have enough bedrooms for the children, but no extra space for any guests or hobbies. An attic conversion can create an ideal guestroom space, without using up valuable living space on lower levels. To make the most of the added room now available, you can create a room devoted to your health and hobbies, such as exercise, media, crafts and more. If you work from home, you can have your own dedicated office space. Without a space specifically for your work, it is easy for paperwork to go missing, leading to a more disorganised and less productive environment. Additionally, by separating your work life from your family life, you can more easily focus on each at the appropriate time. When you work from home, a dedicated office space is essential in order to provide an organised and productive workspace and to separate work from your family life. By utilising your unused attic space, your home can offer the benefit of a separate office to serve your clients' needs, whilst also enabling you to make the most of your recreation time with your family without the interruption of, for example, business telephone calls. One consideration that is often overlooked or ignored when considering an attic conversion is the incredible rooftop views that such an extension could provide you with and not only will you benefit from this wonderful home improvement, but there is no question that it will add great value to your home and increase its future saleability. Berry Construction provides a free, no-obligation advisory visit to discuss all available options to you when considering an attic conversion. Here at Berry Construction, our fully trained experts will work with you, every step of the way, to ensure that you make the very best of your home and the space available to you. 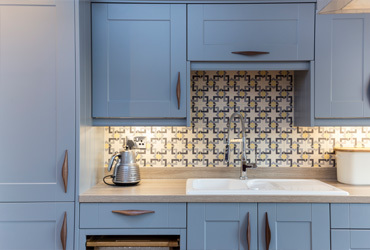 Throughout the process, we will offer the benefit of our expertise, from design, to planning requirements and right through to the finishing touches. Once the work is completed, you will have a wonderful space perfectly suited to your home's design and your personal needs. In addition, you will also have increased the value of your home. With more liveable and usable space, your home will be more attractive to future buyers. You will see a good return on your investment, particularly in Croydon, where housing is always in high demand. With an increase in floor space, your home is sure to draw more interest. Berry Construction will provide you the most professional, specialised attic conversion Croydon has to offer; providing you with the additional space that you require as well as adding immense value to your home. By providing you with clear and organised plans and advice along the way, your ideal home will be a reality sooner than you think.